Remember back when you were mired in teenage angst and told your parents about a friend who was “ignoring” you for “some reason” but you didn’t know what or why? Can you recall that feeling of anxiety, almost fear, sitting in your center and possessing your thoughts over what you could have possibly done to make your friend “hate” you? Now take a second and try to cull out what your enlightened parent said. Suggestion #1 likely led you to think that you weren’t about to call and ask because you hadn’t done anything wrong. You weren’t that desperate. Suggestion #2 was probably met with an eye roll. Of course it had something to do with you. You were the one being ignored. Part of making one’s way into full adulthood should include the shedding of juvenile insecurities which might lead someone to ask “Are you mad at me?” It should, but I know that I hang onto that thought even though I am unlikely to ask the question. I try to assure myself that I haven’t done anything wrong and it probably has nothing to do with me. But still, what if . . . ? I submitted a query letter, along with the first ten pages of MY PLUS ONE, to a literary agent in mid-November. The 20th to be exact. Right away, i.e., on the very same day, I was asked for another forty pages. I had hoped to hear back before the holiday season. When I didn’t, I told myself I had to wait until well after the new year to inquire. I didn’t want to ask for fear I’d come off as impatient or nagging. I want to be regarded as a cooperative partner in the publishing process. I set the date for the 20th of January. Well, that day came and went as did several more before I convinced myself that I should just go ahead and ask. What’s the worst thing I could hear? I wrote a breezy and gentle email inquiring as to the status of the query. I heard back right way, i.e., within an hour. When I saw that there was an email waiting in my inbox from the literary agency, I thought, Well, here comes bad news. When juries are out for a short time, it means a guilty verdict. This has got to be about the same thing. Time to go shopping for yarn. The message was not from the same person I had sent the additional forty pages to. Instead, it was from a lovely person who apologized to me for having my query and pages get “lost in the shuffle” after that person left the agency. This new person assured me that she would “prioritize my manuscript” and let me know. The literary agency wasn’t “mad at me.” I didn’t do anything wrong. The lack of communication had nothing to do with me. And yet, that 15-year-old voice had crept into my head. In the same way that I have done away with stirrup pants, finger-less gloves, and shoulder pads, I really should get rid of that little voice of insecurity. I might end up holding onto it though. 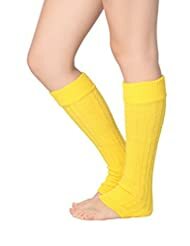 After all, I still have a pair of neon yellow legwarmers – and I wasn’t the one who knit them. Piercing thought(s)! We all, meaning even I at my advanced age, have some teenager in us. I got that same reply, when I finally called the state’s Unclaimed Property Office, about my claim, which I started on March 18, 2015. After finding the person handling my claim, was no longer an employee of that department. Supposedly, my paperwork was being hand carried over to the check issuing department, but I still have not received my property. Mike, however received his property in less than five weeks from time of inquery. And that’s what prompted me to finally place a call about mine. And? Did you get your unclaimed property? Moral of the story: listen to your mother!